The Trouvaille Vision. Trouvaille's vision is to connect people; to bring people together to better understand, experience, and appreciate the amazing diversity of the peoples, cultures, histories, and natural environments of our planet. We are a small group travel hosting company that is dedicated to transforming the travel industry through meaningful and immersive travel experiences. With our focus on small group travel led by expert hosts, Trouvaille Travelers experience the culture, the history, the natural beauty, the cuisine, and the authentic “vibe” of each destination. The Trouvaille Mission. Trouvaille ultimately exists to help people to travel better and more easily, to help people learn about their world through travel, and to help more people to make travel a part of their lives. We believe that travel expands minds, opens hearts, and adds to our collective quality of life. Trouvaille Values. Trouvaille values the basic integrity and decency of all people from all cultures and all walks of life, we value open and respectful communication and discussion, we value personal discovery as a way to learn and grow as an individual, we respect our collective similarities and differences, and we value sustainability and the wise use of resources on our planet. Trouvaille ~ We are a lucky travel find, for you! Let’s face it. Travel is hard. It takes planning. It takes effort. It takes time. It takes money. There are many reasons that people don’t travel today and those reasons range from fear of the unknown and language barriers to not enough time or lack of money. Travel also becomes more difficult as we get older and the mind might be willing, but the body not as much. Also, and in a much different way, we are living in a paradox. We are more connected today than ever before in the history of humanity, but we are also more disconnected from our neighbors and communities than ever before. We keep our faces down looking at our phones, we hear the messages and images that appeal to us, but we sometimes forget to look up, look around, and to learn … by doing. So, ultimately, we have many barriers that prevent us from thinking about traveling, let alone actually trying to travel. The problem of barriers to travel is what we want to overcome, be they of the mind, of the body, or some external impediment. Trouvaille aims to make travel more meaningful and less stressful by offering travel options, destinations, and services that are as comprehensive and as all-inclusive as possible. We provide signature Trouvaille travel experiences that are local and global – from locations around the U.S. to around the world. Our experiences are expansive and range from one day to 10 days in length. We also provide the greatest flexibility possible when offering our specially curated travel experiences. Last, but certainly not least, we care about our travelers and we are committed to the very best in customer service all the time. Providing superior service is not just a slogan, it’s a living principle. In addition, the diversity of our services includes serving businesses as well as consumers, but with the same goal of connecting people to their world. We are dedicated to providing turnkey, full-service solutions to provide companies with seamless travel solutions that allow their employees to focus on their task – work or play – and their company mission. It’s a synergistic, mutually beneficial, community-oriented focus where we are all working as a team to help everyone reach their full personal and professional potential. We have developed and refined our business model, which features scalability, a focus on personalized services, and creating three revenue streams that include: 1) Trouvaille's signature travel experiences in the U.S. and around the world, 2) our B2B efforts to offer turnkey group travel and planning solutions to companies and corporations, and 3) our ability to create custom travel solutions for individuals, families, non-profits, and other small groups. Our website has been recently redesigned (January 2019: https://www.trouvailletravel.org), which now features a big, bold, visual presence while retaining our focus on personalized service, exciting and unique travel experiences, and our long-term efforts to expand access to travel for everyone. We validated our operational methodology and approach, as well as our trip costing and expense estimates, during trips with our successful south Caribbean sail (August 2018) and Napa Valley trips (November 2018). We are working to develop our permanent home in the Tucson/Oro Valley area of southern Arizona. Trouvaille is how a member of the Greater Oro Valley Chamber of Commerce, Local First Arizona (https://directory.localfirstaz.com/listing/trouvaille-llc.html), and Business Networking International (https://bniarizonasouth.com/en-US/chapterdetail?chapterId=9xU%2BjP5%2BZDWTb1WXDgEhAg%3D%3D&name=BNI%20Sunrise%20Success). Integrating into the Tucson business community is an ongoing activity and we are making substantial progress with our efforts. We are offering a full line of 10 signature Trouvaille travel experiences in 2019 that can be found at https://www.trouvailletravel.org/destinations. Most of our travel experiences will be offered annually. We are beginning a dedicated Google Ads campaign in February 2019 to successfully deliver the Trouvaille brand and message to our primary demographic, which includes individuals and couples aged 40 and older, with a strong preference towards women. Our social media presence is growing and has become more consistent with regular activity on Facebook, Twitter, Instagram, Pinterest, LinkedIn, and YouTube. Our 2019 goals including: 1) opening a commercial office in the Oro Valley/Catalina area (we have a very attractive offer that we would like to pursue ASAP), 2) successfully conducting as many of our travel experiences as possible, 3) achieving a consistent and steady revenue stream, and 4) obtaining the resources necessary for both the commercial space and the commencement of TV advertising. The demographic market segments that Trouvaille is prioritizing includes: 1) the active (and notably female) senior travelers (40-70 years old), 2) the upscale traveler + family, and 3) the younger Millennial traveler seeking greater off-the-beaten-path experiences. From initial advertising that Trouvaille has conducted through Tucson.com/Arizona Daily Star (see below) and Facebook, we have significant data that shows Trouvaille strongly appeals to the active senior traveler demographic. More broadly, and based on data from the National Travel and Tourism Office, U.S. citizen travel out of the country increased by 8% in 2016 and shows continued robustness. In addition, top destinations in the U.S. include New York, Hawaii, Napa Valley, and South Beach. 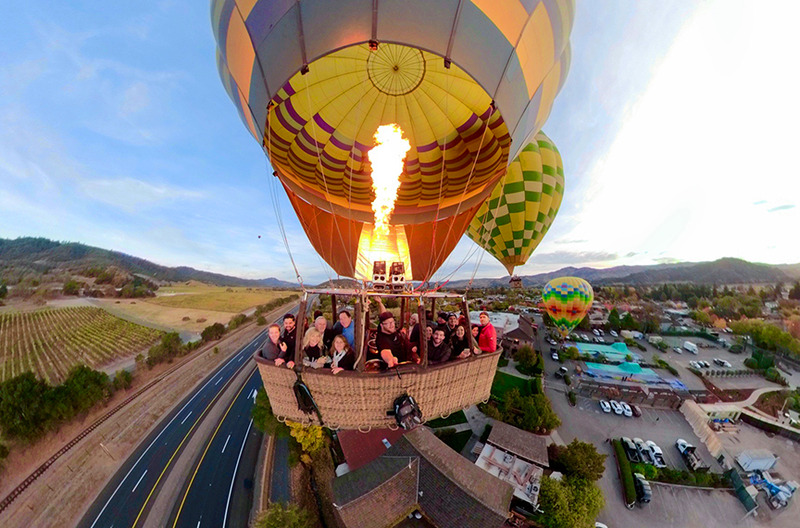 Couple these data with generally high interest in experiential travel, we can tap into this concern by providing unique trips, responsive customer support, value-added services, and assistance that will ensure that Trouvaille Travelers receive the highest quality experiences and service in the industry. The travel industry includes competitors that focus on experiential travel, all-inclusive travel, global travel, or any combination of these components. Our direct competitors include those companies that perform all three activities in a coordinated manner. Examples of these companies include Ker & Downey (kerdowney.com), Backroads (www.backroads.com), GeoEx (www.geoex.com), and G Adventures (www.gadventures.com). These companies have somewhat different areas of focus and prices, which include the types of travel experiences that they offer (group trips, custom trips, epic hikes, luxury travel, etc. ), but all of them offer experiences aroudn the world and to a large number of sites. Trouvaille is unique from these companies by offering local day trip experiences, by creating trip itineraries that truly are unique and different compared to the competition, while also devising unique travel incentives and promotions to attract travelers to the Trouvaille brand. Trouvaille has developed a scalable, flexible business model that will allow the company to achieve its overall mission, establish multiple revenue streams, and grow consistently into a mature, responsive, and successful travel company. 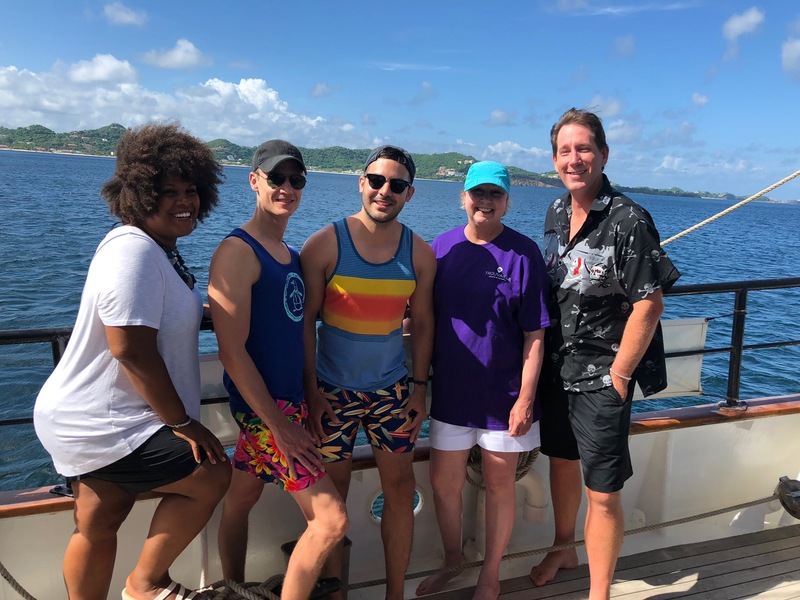 This approach will help Trouvaille to achieve its primary goal, which is to become the first nationally-known small group travel company in the United States. Trouvaille Signature Trips. Annual, hosted, small group travel experiences in the U.S. and around the world. Trouvaille is known for its focus on small group travel with expert hosts and immersive itineraries – all designed to give travelers the most positive, impactful experience possible. Trouvaille currently offers 10 signature trips in 2019 that will become annual offerings. The company is also investigating the addition of other travel destinations that include Cuba, Barbados, Germany, and Africa. In addition, Trouvaille offers and conducts day trips in the New York City and Tucson, Arizona, areas, which makes Trouvaille unique in the small group travel market. Trouvaille has validated its trip operational and costing methodologies by successfully completing travel experiences to the south Caribbean (August 2018) and to Napa Valley (November 2018). This experience gives us confidence that we provide a valuable service that can be very profitable. Custom Trip Planning and Development. Trouvaille also offers consumer services that include: a) group trip planning to any location in the world, b) group trip planning and hosting to any location in the world. Trouvaille has the skills, ability, and knowledge to plan meaningful travel experiences to destinations that match the needs of the client. We offer a turnkey, full-service solution so groups can focus on their travels and not worry about the logistics. Trouvaille has begun taking clients to fulfill this type of service. Business-to-Business Travel. Trouvaille offers beginning-to-end group planning solutions for companies that need assistance for group travel events. 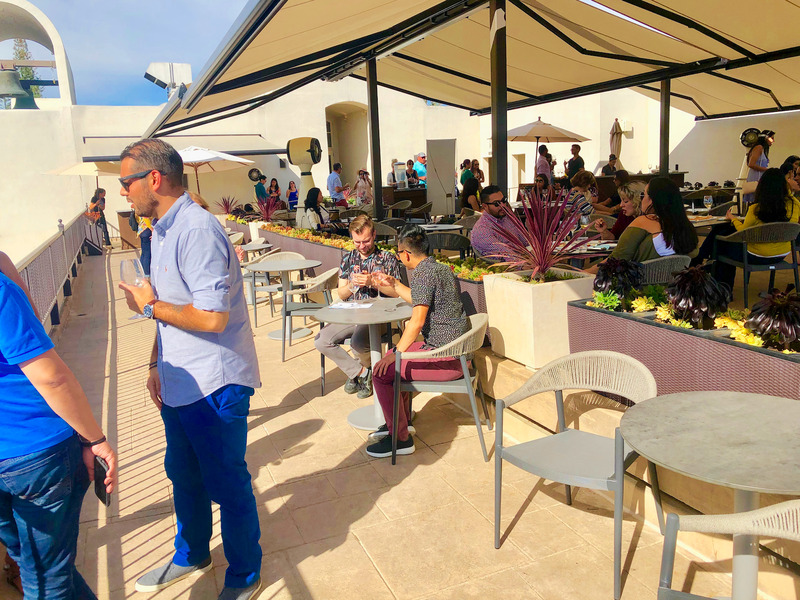 From corporate retreats to employee vacations, Trouvaille is available to offer a full-service solution to help companies with all of their travel needs. We will work closely with corporate staff to define the travel parameters and wants, followed by execution until completion and full client satisfaction. This approach will ultimately produce a three-pronged revenue stream that will provide Trouvaille with the resources, flexibility, and resiliency to succeed in today’s competitive travel market. Paul S. Hardersen, Ph.D., Chief Executive Officer, Founding Partner. Dr. Hardersen is an experienced traveler who has spanned the globe through the course of his life thus far. Whether it be throughout the U.S., the ~35 trips to Hawaii, or internationally to a variety of European countries (England, France, Italy, Spain, Germany, Romania), the Middle East (Israel, Jordan), Asia (Singapore), Mexico, and the Caribbean, Dr. Hardersen has the travel savvy and business sense to lead Trouvaille. With additional careers in science and education, and now travel, Dr. Hardersen is combining all three areas to best leverage Trouvaille's focus, activities, and growth. As a university professor, Dr. Hardersen earned a university-level professional teaching award lin 2013 from the University of North Dakota. He is also an active planetary scientist whom regularly publishes world-class scientific research with an emphasis on main-belt asteroids, their compositions, and the information they can tell us about the early solar system. 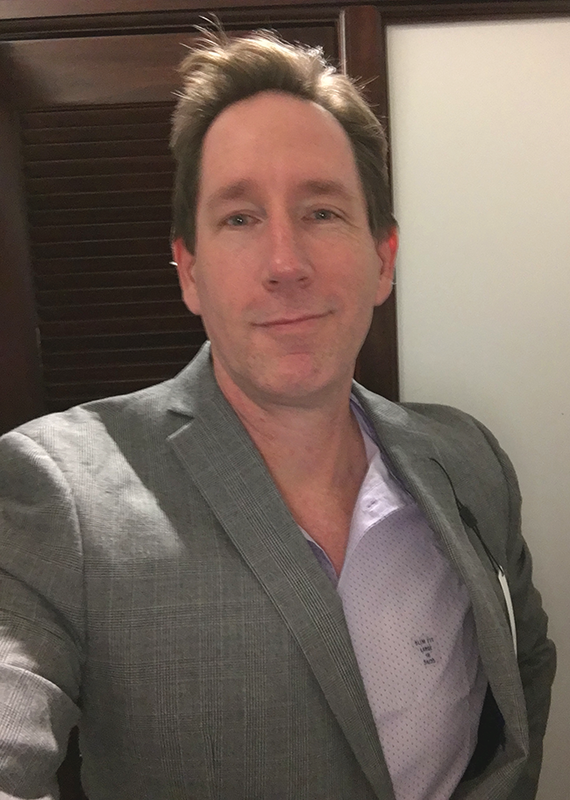 Dr. Hardersen is also a well-known foodie with a foodie trademark and blog (Astrofoodie) who will also soon contribute his entrepreneurial drive and enthusiasm to the development of a casual, upscale lobster restaurant and franchise concept. Jazmin Jourdain, Founding Partner. Ms. Jourdain currently serves as Vice President, Director & Registered Representative for New York asset manager Baron Capital, Inc. Ms. Jourdain is responsible for shareholder services, branding, corporate projects, and large-scale events. Her business and travel experiences are extensive and are helping Trouvaille forge forward with its development and operational strategies. She is also a board member of Aspira of New York, The Dream Project, and has been very involved with GMHC of New York, The Felix, Global Giving, and the Helping Hands Foundation. World travel has been her education and passion since her formative high school years. Born and raised in the South Bronx, she attended The Bronx High School Science, was selected for the prestigious position of U.S. Youth Ambassador, and has traveled extensively to locales such as Russia, Uzbekistan, and Kurdistan. She has subsequently traveled extensively and she now contributes her expertise to Trouvaille. James Mueller, Trip Host. James serves as a Trouvaille host for our Ireland and Isle of Man cultural adventures. His story began 20 years ago with a simple question: "Do you want to go to Ireland?". At the time, James was a post-graduate who enjoyed Irish ceili dancing on the side. Who would have guessed that one request by his then-dance instructor to plan and execute their first trip would lead to over 100,000 miles of driving through Ireland, plus excursions to England, Scotland, the Czech Republic, Poland, Germany, and Austria? Now a certified Irish dance instructor and adjudicator, Jim shares his 20 years of travel experience in Europe with Trouvaille. Sarah Nolan-Hardersen, Administration. Mrs. Nolan-Hardersen originates from England, has lived much of her life in New Zealand and Australia, and emigrated to the U.S. in 2016. Her background is primarily in public health, community programs, and sustainable development. She assists Trouvaille by assisting in the development of company policies, graphic arts design, and blogging. To obtain commercial office space for the company in the Oro Valley/Catalina region in the Tucson metro area. To conduct a rigorous online and print advertising campaign. The online campaign will utilize Google Ads, Facebook, and Twitter. Print and digital advertising for the local Tucson area will utilize the Arizona Daily Star. To develop local television advertising in the Tucson metro area. To hire employees who will be tasked with marketing and promotional efforts. General operational expenses for trips and events. Good morning, everyone ~ As a part of the company's development, we are explicitly defining our company vision, mission, values, and business tenets. These will help to guide all company actions in the future and position us as a forward-looking innovative company that not only has values, but lives our values. Have a great holiday weekend! 1. Trouvaille is seeking to improve its company team and we will begin a search for people this week. We aim to add people with relevant experience in the travel industry and in marketing. This will combine with continuing improvements to our pitch deck to show that we are positioning the company for growth and expansion. 2. We have a new Travel Partner: Dennis Littley of www.askchefdennis.com. Dennis is an active food and travel blogger and we are already investigating ways to collaborate and cross-promote each other's brands. 3. In an effort to give travelers more options, Trouvaille's signature travel experiences will not be available year-round. The only requirements is that groups must be 4 or larger and we'll work with people to get sufficient advance notice to be able plan for their experience. Trouvaille has begun work with Visit Tucson (https://www.visittucson.org) and is partnering with Visit Tucson to promote day trips in the greater Tucson metro region. Trouvaille will begin developing 4-5 Tucson area day trips and will be available to develop customized day trip itineraries, as requested. We are excited to become a part of the local Tucson tourism community and provide unique, fun, and engaging activities for visitors. Trouvaille has just fully booked its wine and cheese sailing event in New York City, which will occur on Friday, June 14, 2019. The sail will include 40 passengers along with the Trouvaille host, Jazmin Jourdain. The 2-hour private sail has a wine and cheese theme, and will include a wine expert, four types of wines from around the world, and appetizers. We are excited to host this event for New Yorkers so they can enjoy a fun Friday evening on the Hudson River! Learn more about this day trip at: https://www.trouvailletravel.org/destinations/new-york. Hello everyone! Trouvaille is undertaking new initiatives to favorably position the company for growth and investor funding. We are beginning a rigorous branding effort that will make the company distinct, recognizable, and known -- all while supporting the company vision and objectives. Yesterday, CEO Paul Hardersen underwent a personal branding photography session that will produce many useful images for the company. Throughout April, we are conducting a branding effort that will be unveiled as soon thereafter as possible. Stay tuned and please write with any questions. Good Saturday, everyone! We are *very* excited to let you know that Trouvaille has been accepted into the Newchip crowdfunding accelerator program! This was a very competitive process with more than 600 applicants, of which fewer than 10% were selected to participate in the program. This program will begin on April 1 and last for 13 weeks, which will provide us with the knowledge to most effectively search for, and acquire, investor funding. Please write with any questions and have a great weekend! Trouvaille has been notified today of the acceptance of our application to participate in the 2019-2020 Visit Florida Targeted Marketing Assistance Program (TMAP). This opportunity will give Trouvaille the marketing resources and connections to more effectively promote our South Florida travel experience, which occurs every February (https://www.trouvailletravel.org/destinations/south-florida). Being a TMAP member will provide a wide range of benefits that include grant opportunities, enhanced website listings, consultations, webinars, access to an online hospitality training program, and much more! We are very excited to have been selected and look forward to working with Visit Florida to show the world the beauty and diversity of the Sunshine State. 1. We are beginning a series of Instagram stories to brand the company and reach a wider audience. Our followership on IG is already greater than 10,000 and growing! 2. We are also beginning an effort to blog and share photos and videos of all of our staff travels. Currently, Jazmin Jourdain is in Barbados. I will be in Florida and Mexico in April and early May, respectively. 3. The commercial space that I have mentioned in the past that is available to us is still available. 4. We have most of the logistics for the Maine trip already set. We have 13 people going on this experience with us in early June and hope to add 7 more in the next two months to fill out this event. 5. Follow our blog as we post weekly updates. The link is: https://www.trouvailletravel.org/news. Finally, your help in reaching our goal of raising $107,000 by June will truly help us launch Trouvaille and become an established company in the Tucson area. Please write with any questions and I thank you for your support of our goal to make travel better ... for everyone. Good Sunday, everyone! Today, Trouvaille will be out in the community and up at Catalina Craft Pizza to celebrate that restaurant's 2nd anniversary. Trouvaille will be giving away travel goodies, accessories, and games; adorning the restaurant with the state and national flags of our travel destinations; playing music from around the world; and conducting an hour travel raffle where entrants can save up to $1000 on one of Trouvaille's signature travel destinations. Oh, and specialty pizzas from around the world, too! It should be a good time and this is just another way we are working to become an active member of the business and civic community. We have a new video promoting our three tropical destinations to Hawaii, St. Lucia, and the Cook Islands. View here:https://youtu.be/OQXwmGsSAeY. Hi everyone ~ Our offering is being updated in real-time today and please view when you have the opportunity. All updates should be posted by the end of today. You can also view our updated pitch deck on YouTube here: https://youtu.be/MCkP8mdMT18. Hello everyone ~ We are also updating the 'Business Model' section of our offering. Our business approach has evolved greatly since the publication of our original offering and it is in need of updating. You should find that we now have a more robust and mature business plan and model in place, which we are implementing. I expect all of our various updates to go live this week, but I'll also keep you informed. Good Saturday everyone ~ We are updating our Pitch Deck and video. I suspect they should be on the offering website sometime next week. If you have been following us, then you should be able to notice how our focus has evolved and expanded since the original offering. Also, we are expanding our collaboration with Jetzy and they will begin promoting four of Trouvaille's signature trips in the coming weeks and months. Good morning, everyone! Trouvaille has entered into a collaboration with Jetzy (https://www.jetzyapp.com) to promote a sailing event in New York City. The sunset, wine & cheese sail will occur on Friday, June 14, 2019, from 4:30 to 6:30 pm. Go here to read the details:https://www.trouvailletravel.org/go-sailing-on-hudson-bay-in-new-york-city/. This is the first collaboration between the two companies, which has the potential to lead to greater partnering in the future with Trouvaille signature travel experiences. Good morning, everyone ~ The "Achievement and Traction" and "Team" sections of our offering have been updated. This reflects our work for the past year and we are excited for our growth this year! Please ask questions as they arise. Good morning everyone ~ We are in the process of updating the "Achievements & Traction" section of our offering here. This will bring everyone up-to-date on our achievements as well as our plans and activities for 2019. To stay current of everything that we do, visit our website at: https://www.trouvailletravel.org. Feel free to write to us at: travel@trouvaille.club with any questions. Thanks! Please support Trouvaille and also please write with any questions. Happy weekend everyone! Trouvaille's activities of the last two weeks have focused on developing our local connections in the greater Tucson metro area. Trouvaille is now a member of LocalFirstAZ, which is an organization that promotes local business development within Arizona. We have joined the Tucson-area group. Second, we are quickly becoming active in our BNI Chapter, Sunrise Success, in Tucson, and we are working with our business partners there to educate them about Trouvaille and to help them refer business to Trouvaille. Third, we continue working with Catalina Craft Pizza to cross-promote our brands. All of that, plus the rollout of our Google Ads campaign next week and continuing promotions of our trips, we have been busy! Please consider investing in Trouvaille now so we can secure our first commercial space and build the company into the first nationally-known small group travel company in America. Yep! That is the goal and we plan to do just that. One more Saturday thought: Although our Trucrowd campaign runs through the end of the 2019 calendar year, we are aiming to achieve our goal by June 1. Doing this will allow us to establish the company during this year and position ourselves for rapid growth. We are entering a very dynamic phase for the company and we are working hard to make our vision a reality. Thank you! Happy Saturday, everyone! Since our last post, Trouvaille has begun a print marketing effort in the Oro Valley area, began implementing a strategy to increase our day-trip business in New York City, we began to define a March 10 open house and travel event in association with Catalina Craft Pizza (www.catalinacraftpizza.com), and we are still searching for a route to accept the very attractive commerical space in northwest Tucson where Trouvaille would have its first commercial office. Those activities, along with promoting our 2019 lineup of trips, is keeping us very busy. Please write with any questions and we thank you for your support! Trouvaille is happy to announce that we are now a member of the Sunrise Success Chapter of Business Network International (BNI). This membership will be a vital way to integrate Trouvaille into the Tucson and Oro Valley area business community. We are looking forward to helping to promote business in the area, and to grow and diversity the local economy. Learn more about BNI here: www.bni.com. Good morning, everyone ~ To give you an example of the type of planning and effort that goes into each Trouvaille trip, please follow the link to our Cook Islands trip and itinerary, which will occur from October 19-26, 2019. To us, it's all about making travel personal, easier, more enjoyable, all for better living and a better life for all involved. Oh, and fun, too! As a part of our efforts to develop company "roots" in the Oro Valley/northwest area of Tucson, we will be conducting a large insert mailing in an area newspaper called SaddleBag Notes. We have decided to focus on this area as it includes the demographics and incomes that are relevant to Trouvaille. This, in concert with our continuing partnership and promotions with Catalina Craft Pizza, will establish us in the area. We have also applied for membership with Business Networking International (BNI) at a local Tucson chapter, which we think will significantly boost our business. And, last but not least, focusing on truly helpful and personal customer service is something we are committed to doing always. Too many companies fail on this aspect of business and there really is no excuse for it. NEXT WEEK: We will be unveiling our redesigned website to the public! We are very excited about this and will give you the specific release date once it is know. Good morning, everyone! Trouvaille is hosting its first-ever online travel chat today at 11 am MST. You are invited! Just log in to our Zoom session here: https://zoom.us/j/358477207. We will talk about Trouvaille, our vision for travel, get a sneak peak at our redesigned website, review our trips for 2019, and take questions. We will conduct these online session every 2 weeks. We hope to see you soon! Hello everyone ~ I want to bring your attention to the commerical office space opportunity for Trouvaille. We have been offered an extremely favorable lease rate for a 1300 square foot office space in Catalina, Arizona (north of Tucson) that would be an ideal initial space for Trouvaille. This opportunity arose due to my relationship with a local business owner that led to this connection and, ultimately, this offer. If we can fulfill this crowdfunding campaign soon, then this will directly support Trouvaille's ability to establish roots in the Oro Valley area and to grow during this year. Please consider investing in Trouvaille as opportunities are knocking and we want to capture these opportunities. Thank you! Good morning,everyone, and Happy New Year's Eve! As we are on the verge of 2019, me and my team continue gearing up to make 2019 a breakthrough year for Trouvaille, for our vision of travel, for our mission to help people to travel and to travel better, and to simply to make the world a little bit happier, more connected, and more enjoyable. We are going into 2019 with the audacious goal of building the first nationally-known small group travel hosting company in the U.S. In 2018, we validated our operational model by successfully leading our first two travel adventures, we are developing business partnerships in the Tucson and Oro Valley areas to help promote Trouvaille locally, we are working to build our audience base through local and national efforts, and we have developed a collection of 2019 travel experiences that we think are among the best anywhere. Also, our redesigned website will go live in only a couple of weeks! Our goal at TruCrowd is to raise the $107,000 as soon as possible, which will allow us to: 1) conduct a larger Google Ads campaign to reach many more people, 2) open a commercial office in Oro Valley, 3) develop and run paid TV advertising nationally, and 4) truly develop the roots of this business to be a long-term endeavor. 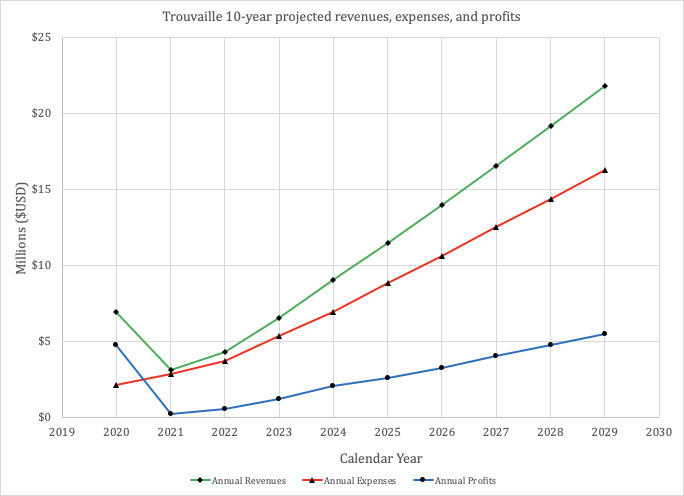 Our 2019 annual revenue goal is at least $150,000, which will make Trouvaille a full-time job and passion, which is what we want and why we started this in the beginning. Your support for this effort is crucial and we thank you for your past support and encouragement. We wish you the best of love, life, and happiness in 2019 and we hope Trouvaille will be a positive part of your new year. "As someone who loves to travel, I am thrilled to have discovered Trouvaille. Not only do they provide the personalized service I want, but their attention to every detail, and their determination to enhance and maximize the entire experience far exceeds my expectations. Trouvaille is truly my go-to small group travel company!" -- Kristal MacDough, Advertising Account Executive, Saddlebag Notes. Happy holidays, everyone! We hope that you are having a wonderful, safe, and happy Christmas and are relaxing as we approachthe New Year. 2019 is full of possibilities and hope, and we are committed to making it successful for you, for us, and for the travelling public. Yesterday, Trouvaille submitted a Form C/A to the SEC, which is extending our crowdfunding campaign to December 31, 2019. However, our goal is to acquire the maximum funding, $107,000, by March 2019. Hi everyone ~ Trouvaille has just come across an opportunity to occupy a retail commercial space for the business. It is located in the Oro Valley area northwest of Tucson, which is where we are now targeting our local business and where we are placing most of our emphasis. It's the right size for us at about 1300 square feet and would truly help to establish and grow the business. We have until the middle of January to take the space, but we need the resources to do this. Your assistant in helping Trouvaille grow is appreciated! Hi everyone ~ We are planning to extend our Trucrowd crowdfunding campaign to December 31, 2019. We will work on this next week. Thank you in advance for your support! Happy Saturday, everyone! Trouvaille's efforts to expand into the Tucson community have begun as we now have a promotional relationship with Catalina Craft Pizza (catalinacraftpizza.com) in Oro Valley. We have a display in the store where we jointly offer meal and travel discounts to patrons. We are also working to develop relationships with other businesses in Tucson to extend our reach and become a permanent fixture in Tucson. We are also now advertising regularly with the Oro Valley Chamber of Commerce. In addition, our website redesign is continuing and we are preparing for a big push to promote our 2019 collection of travel experiences. Happy Sunday, everyone! We just had a peak at the new design for the Trouvaille website and we are very happy with the layout, design, and functionality that will become available to us. It'll be a bold, forward-looking design for Trouvaille to better serve our customers, travelers, and supporters. We will provided updates as they arrive. Hello everyone! Trouvaille is beginning to develop a working relationship with another business in the Tucson, Arizona, area; this time it is Rosati's Pizza of Tucson. We will be working together in the coming weeks to place Trouvaille flyers and travel offers in the restaurant for patrons. We are excited about this collaboration and we will continue to pursue these relationships to develop our company home in Tucson. Questions? Please write to us at travel@trouvaille.club. Trouvaille has partnered with IAj Multimedia (iajmultimedia.com) to develop and implement a comprehensive effort to market, promote, and establish Trouvaille as the preeminent small group travel company in the United States. These efforts will involve a comprehensive redesign of our website (www.trouvailletravel.org), a focused online and in-person marketing strategy that targets our market demographic (45+ ages, female-focused), video creation, specific trip promotions, and use of HubSpot for our CRM activities. In addition, Trouvaille is beginning to develop a network of relationships with Tucson and Oro Valley area businesses. Trouvaille and Catalina Craft Pizza (catalinacraftpizza.com) have already partnered and will begin marketing efforts in December. Trouvaille is also reaching out to other businesses in the area. Stay tuned! Happy Thanksgiving, everyone! For everyone at Trouvaille, I wish you a happy, relaxing, fun, and (of course!) good food-filled Thanksgiving! We thank you for your support and your embrace of our vision to do our small part to make the world a better place ~ through quality, personalized, immersive travel that brings people together from around the world. Enjoy the long weekend! www.trouvailletravel.org. Perk Alert! If you invest more than $25,000 in this crowdfunding campaign, then you will also receive (beyond the offering): 1) a free Trouvaille trip of your choice for one person, 2) free travel advice and support with no end date, and 3) preferred VIP service. At Trouvaille, we are family and want to treat everyone as a friend, confidante, and fellow traveler. It's not just about making money, it's about making the world a better place for everyone. Just a reminder: Trouvaille has the goal of nothing less than becoming the first nationally recognized small group travel hosting company in the U.S. that offers the most unique travel experiences in the U.S. and around the world. I hope you will join us as we grow and evolve to help people live better lives and help us do our part in making the world better for everyone! Hi everyone ~ We are in the process of offering a custom-designed, 8-day travel experience to St. Lucia in the Caribbean. This will be a very-signature Trouvaille trip in that it will be a full exploration of the island's history, culture, nature, and cuisine. I expect this to be ready for placement on the website by the end of November. The trips is tentatively scheduled to occur in September 2019. Stay tuned! Hello everyone! As a part of our preparations for 2019, our website will receive a complete overhaul and will receive a professional design that will become the focus and attraction for all we do at Trouvaille. In addition, and as a part of our coordinated marketing strategy that is just beginning, we will connect, coordinate, and funnel all of our social media activities to drive traffic to the website. This all very exciting and we can't wait to show you our new look! I expect the website to be ready for prime time in December: www.trouvailletravel.org. -- South Florida: February 2019. -- Big Island, Hawaii: April 2019. -- Isle of Man: July-August 2019. -- Napa Valley: November 2019. -- Machu Picchu: November 2019. -- Coming soon: Cuba, St. Lucia! We hope you will support us as we position Trouvaille to grow to become the first nationally-known small group travel company in the U.S.
Trouvaille will begin an aggressive, coordinated marketing plan beginning later this month. Your support in our success will be very much appreciated as we implement our plan to become the national leader in small group travel! Good day, everyone! We have just returned from Trouvaille's inaugural weekend adventure to Napa Valley. From beginning to end, the entire experience went flawlessly for both our guests and our staff. We are even in the process of receiving our first Better Business Bureau (BBB) review, and it's a good one! It should be posted in the next several days. We will be posting photos and videos of our experience in the coming days, so stay tuned for those. You can view them on the Trouvaille Napa Valley Page. Overall, we validated our operational model, gained a few insights where we can fine-tune our operations, and this positions us very well for success in 2019 and beyond. Good morning, everyone! Within the next ~2 weeks, Trouvaille will be ramping up and implementing a coordinated marketing campaign that will help us to reach our ultimate goal: to be the first nationally known travel hosting company in the U.S. We chose this goal because we are not ones to think small and the only way to really make an impact in the travel (or any) marketplace is to disrupt it. So, that's our goal. Stay tuned for updates and visit us anytime at: https://www.yourluckyfind.com. Hello everyone ~ As we continue our crowdfunding campaign, we hope you will join us as we are developing a different kind of travel company. One that truly focuses on travel experiences that highlights the uniqueness of each destination. For example, we are now developing a week-long exploration of St. Lucia in the Caribbean. This week will explore the history, culture, cuisine, and natural wonders across the island. This trip is still being formulated, but will be an excellent example of the uniqueness of Trouvaille travels. Watch our new video here: https://youtu.be/xqIxcJM7Nxc. Making an investment in Trouvaille now will help us plan for 2019 and position ourselves for success both in terms of trip planning and execution, as well as developing our profitability. 1. We have been approached yet again by LIV Unlimited, the concierge service in New York City, to organize another day trip in the near future. This continues our commitment to serving the local residents of New York City. 2. We have finalized our itinerary and plans for our Napa Valley Wine Wanderings Weekend, November 2-5, 2018. This whirlwind weekend will include a 3-hour wine train ride, a hot air balloon ride, an exclusive winery food and wine tasting experience, residents at the Candlelight Inn, exploration of downtown Napa, and more! Read all about it here: https://www.yourluckyfind.com/napa-valley. Hi everyone ~ Trouvaille completed another successful day trip for New York City residents yesterday (October 13, 2018). Led by our Jazmin Joudain, Trouvaille led a group of 36 residents from LIV Unlimited (https://www.livunltd.com) to Pennings Farm Market in Warwick, New York, for a fun-filled day of apple picking, petting the farm animals, reveling in the scenery, and enjoying good food and drink. This is yet another example of how Trouvaille serves local communities as well as offering its national and international travel experiences. Hi everyone ~ Our goal is to raise the desired $107,000 by the end of this calendar year (12.31.2018). With your support and in addition to your investment, you will receive exclusive access to special Trouvaille events, receive special discounts, and will be a part of a company that is working to make travel better and more accessible for everyone. Please write with any questions. This is the beginning!! I really appreciate the thoughtful answers. This is clearly a fair deal for investors and I think I am going to invest, just not sure how much. I did a poor job wording my main question below. What I'm looking for is more simple than I made it sound. Given your expenses per trip and such, the fact that you'll only be keeping 80% of gross revenue, and the fact that at some point all of you who are putting time in will need to be paid a living wage, how much do you need to raise here and then how much growth in number of trips/year do you need to see to ensure that you can stay in business long term? Put differently: At minimum what needs to happen to ensure you stay in business long term? Hi Alan ~ I'll answer your questions from both a short-term perspective and a long-term perspective. For the short-term, our overhead expenses primarily consist of advertising and basic software/office expenses. They will be relatively low as we work to grow with an integrated, aggressive marketing campaign being the primary expense. That will begin once we succeed in this campaign and have the necessary resources. As we scale up and expand, the plan to is to: a) secure a commercial office space, b) begin paying salaries for the CEO (and others, as we are able), c) stipends for office staff and travel hosts (as needed), and d) continued marketing. This scaling upward and transition is set to occur over a three-year period, but with the goal of increasing as fast as possible (read: in 2019) as I want this to be my full-time effort and where I can derive an income. An advantage for the relatively near-term is our partners have incomes from other sources, but I have the goal of having Trouvaille as my only commitment (which I love this work, by the way!) as soon as I can make that happen. To have a successful 2019, we already have a lot of interest in our Maine trip, but we need to gain traction for our other travel experiences also. We will continue to develop new, unique travel experiences and will continue to hone our branding and how we make each travel experience unique. We are already making a name for ourselves in Tucson despite being here a relatively short time, and I will continue seeking strategic partnerships to help us achieve our goals. So, without being too long-winded, I hope this answers your question. I've become hopelessly addicted to doing this and I'm committed to it. Greetings Patrice -- Thanks for writing. This will likely not be the only offering that we present, but it is our first offering that is going through the end of this year. The plan is to obtain this initial seed funding, which will be followed by a larger offering next year. Please write to me (Paul Hardersen) at travel@trouvaille.club and we can continue the conversation. Hello again Patrice ~ Yes, this is a one-time offering for the ROI that we are include (4X). If we do conduct another offering later, then it would have a lower ROI. Thanks for your query and please write if you have any other questions. Hi, I like what you are doing and your dedication to your mission. You describe things well, but I'm looking to fill in some blanks: 1. What is gross revenue and net profit so far this year (if salaries or other compensation was deferred, please include)? 2. What is the minimum gross revenue/year going forward (assuming a low raise here even though I hope you do well!) that you need to stay open and keep your team together? 3. What is the math involved with the 4x payback - how will the 20% be affected by a lower raise, how much can that 20% be diluted beyond 107K (i.e. is 20% of gross revenues locked in to this 107K, or could their be subsequent funding that would also share the same 20%? Hi Alan ~ Thanks very much for your inquiry. The business has just begun to gain traction this past July with monthly revenues now coming in at $8K+ per month. We just finished our first trip successfully with the south Caribbean sail, we will conduct our Napa Valley trip in early November, and we have significant interest in our June 2019 Maine trip where we are already expecting to fill that trip up completely. The current partners are not yet receiving any salary and are focusing on getting the business established, so the overall goal is to break-even financially this calendar year. The purpose of the crowdfunding campaign is to garner the resources for we can expand our brand awareness efforts in a truly integrated marketing campaign as well as have resources for operational activities and some salary support. As per your specific questions about the ROI, I will respond in more detail in another communication. I am on travel today, but will endeavor to complete this response by Monday.